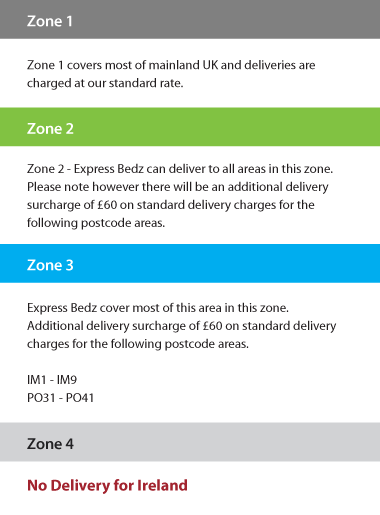 Express bedz have a range of delivery options to ensure we can offer a prompt and quality service when your product is ready to be dispatched. Stock items are available for express delivery, many items can even be delivered on a next day basis (Please see section below) For heavier items we use a two man delivery service. 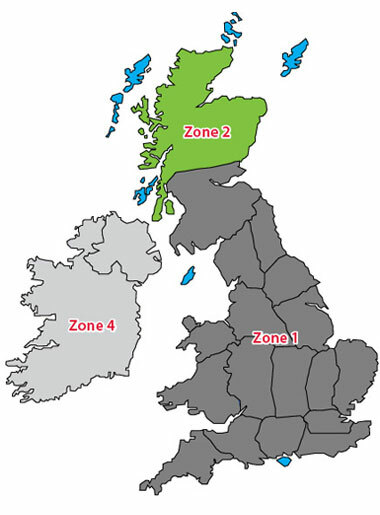 If you have chosen a stock item that needs to be delivered by our two man service, a member of the express bedz logistics team will contact you within 2 working days* from date of order to book in a convenient delivery date and also advise on time frames on when the delivery will take place. Please be aware deliveries to remote areas may take slightly longer. Express Bedz have a large range of stock items that are available for next day delivery or you can choose a delivery date at checkout. These products will be delivered by a one man delivery company. This means the courier can only deliver the ordered items to the front door of the designated delivery address, if you reside in an apartment or a block of flats, the delivery driver will deliver to the lobby of the building only. Please understand that the delivery company that offer a ‘next day’ service are not insured to enter a private premises. Please be aware that if you purchase a product on a ‘next day’ delivery and require assistance with the positioning of the product, you must arrange the assistance yourself.